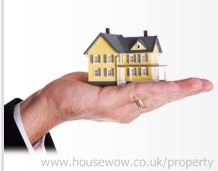 In order to avoid house repossession there are a number of options. Selling your house is one of them. Your lender may agree to delay action to repossess your house if you show you are taking reasonable steps to sell your home. 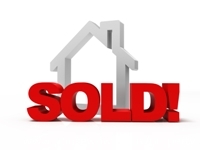 Selling your house quickly when facing repossession is a difficult decision. In some areas of the UK, particularly where unemployment is high or there are difficult economic conditions property prices may be unusually low and the market becomes a buyers market with lower offer prices and hard pressed sellers in some cases left facing negative equity. The economic slowdown has hit some areas of the UK hard for several years now, and there are few signs that things are going to get any better very soon. Large companies continue to make job cuts, while others go into administration leaving employees with uncertain futures. Unemployment figures remain bleak in some areas, while personal debt problems are at an all-time high in homes across the nation. When people's debt problems become more than they can bare, home repossession becomes a very real threat. If you are unable to make your mortgage payments, losing your home may become an inevitability. If you face difficulty in making any mortgage repayments the first thing to do is to take quick action to let your mortgage lender know that you are struggling to cover your mortgage payments, as they may be able to help. If you are upfront with them from the start, they will be more likely to work with you to deal with the problem. The mortgage lender may be able to offer you the option of setting up a new payment schedule. For example, stretching out your payments over a longer period of time will reduce your monthly costs. Be aware, however, that this will increase the total overall sum of the mortgage repayment over the term. If smaller monthly payments are easier to deal with, however, this might be a good option, and will allow you to keep your house. If reducing the monthly payments is not an option, then selling your property before it is reclaimed may be the answer. The first thing is to determine the realistic market value of your property. Get three valuations from Estate agents including a qualified estate agent surveyor and tell them that you need a quick realistic sale. Don't be tempted to test the market for higher offers, just work quickly to present your house as well as possible and get the best marketing created quickly to get the house on the market. However, you may need a quicker than usual house sale. 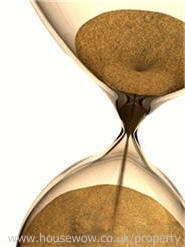 If you face repossession and cannot arrange new terms with the lender then it's possible that you won't be able to wait the average period of 12 weeks (and often much longer) from instruction, marketing details produced, to suitable first time buyer or cash buyer being found, price negotiated and usual searches and legalities performed before exchange of contract and completion (the point when monies are exchanged and your own mortgage balance paid off). If your sale ends up in a chain of buyers then one buyer or seller dropping out due to difficulties with obtaining a mortgage or coming across problems with the house survey can result in the whole chain, and your own sale with it, falling through. When in a bind, selling your home quickly is the key. In a slow property market, the reality is that it can take months to shift your property, to find the right buyer, and get an agreeable price for your home. When you cannot pay your mortgage, and repossession is looking likely, time is a luxury you won't have. As such, finding a buyer quickly, even if it means getting a lower price for your home, is important. There are companies who will buy your house from you quickly, at a reduced cost and sell it on themselves. They will usually use their own solicitors, saving you these additional costs, but removing your independent conveyancing solicitor's advice. This would be regarded as a private sale and as they take the risk of lack of detailed information on your home such as searches being completed they will usually offer you 10-15% below the current market price of your property. They will send their own assessor to survey the property for significant defects and to value it. You would be wise to have had three independent valuations prior to this, but ensure that you are receiving realistic selling price estimates and not inflated asking prices which some agents will provide in order to get your signed instruction (contracting you to a minimum average 4 weeks opt out contract). During this time you may have to pay the agent fees even if they don't sell your home and you resort to a lower value sale value anyway. However, if you have owned your own home for a number of years and have equity in your home then it may be possible to achieve a sale by selling it at a slightly lower than market price value, so check the realistic selling price with a number of agents. The selling price to these companies, often advertised as 'sell your house for cash' or 'cash house sales' will have to be enough to pay off your entire mortgage and any other fees you have incurred. Check that you don't have a redemption fee to pay when you redeem your mortgage early without taking out another mortgage as these can be substantial. If you can afford to sell your property at lower than the market value and pay off your mortgage and any other costs or moving costs then it may be possible to achieve a sale within a short period of time - possibly 3-4 weeks to a cash house buyer. Determining the price that the company will offer you and the total amount you owe on your mortgage is, therefore, important. Most people would prefer to avoid selling their property, especially if this means settling for a lower price due to the urgency with which the sale needs to go through. However, in times of need, shifting your property fast may turn out to be the most agreeable option available, particularly if you cannot come to new terms with your current lender to avoid repossession. There are a number of companies available who can offer initial information by telephone and if your property and circumstances appear suitable for their purchase requirements they will organise a quick assessment by one of their own surveyors. One of these companies is 'National Home buyers', for contact details see the resources page at 'cash house sales'. 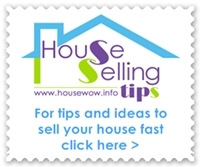 If you are wondering how can I sell my house fast? The value of your property needs to be sufficient to cover the entire sum of your mortgage and, ideally, leave you with enough to get started in a new home. If your mortgage is too big, and your property isn't worth enough, selling your home to a cash house buyer may not be an option. National Home buyers will be able to offer you a price to sell your home fast. - Agreeing with your mortgage lender an option to extend the term of your portage and reduce the cost of your monthly payments. - Cutting your spending, getting an additional part time job and look to cut any bank charges by talking to your bank. - Check your terms of Mortgage Protection Insurance - and be persistent when making a claim. - Contacting alternative mortgage lenders regarding options to switch your mortgage. However proof of income will be required and there maybe fees to redeem your current mortgage and administrative fees to set up a new mortgage. - Look for a company who will buy your home and then rent it back to you or part buy/part rent options. Be careful there may be drawbacks and remember you will not own your home. - Check the local rate for you to rent out your property on a long term rental contract and cover your mortgage payments with rent. However, check letting agent fees, your landlord responsibilities and repair and replacement costs during the term. You will also need to make alternative living accommodation arrangements. - Consider the option to rent a room in your home to a lodger who's rent will assist to pay the mortgage. However, check your legal obligations and be aware that if you wish to put your house on the market it may be detrimental to the sale if you have a tenant who has rights to stay on under a contract. Your lender has to follow certain steps to ensure that your home is repossessed only as a last option. These steps are called the 'pre-action protocol'. What must your lender must do before taking action to repossess your home? The pre-action protocol sets out what you and your lender should do before your lender takes action to repossess your home. It applies to most residential mortgages. At a court hearing you and your lender will need to be able to prove that you have followed the protocol. - Notify you about what you owe and any charges you'll have to pay on your debt. - Consider any reasonable request from you to change the way you pay your mortgage. - Respond to any offer of payment you make. 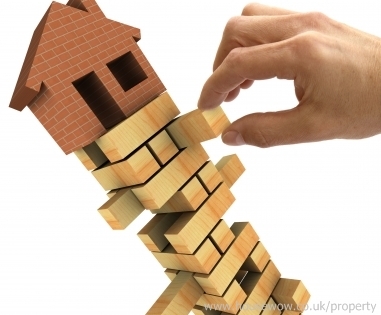 There are a number of situations where your lender may postpone repossession action. Your lender may postpone repossession action if you make a claim on your mortgage payment protection policy - if you have one. This is an insurance policy that covers your repayments if you become ill or lose your job. If you make a claim, you may be able to cover your mortgage repayments, or a percentage of them. To avoid repossession you'll have to satisfy your lender that you are likely to be eligible for a payment under that insurance. You'll also need to show you can make up any part of your monthly repayments that isn't met by the policy. If you feel your lender has treated you unfairly you may be able to make a complaint to the Financial Ombudsman Service (FOS). The pre-action protocol allows a lender to postpone repossession action when the FOS is dealing with a complaint. Your lender can decide to continue with repossession action while your complaint is being dealt with. However, they must give you five working days' notice of their plans. Your lender may agree to delay action if you show you are taking reasonable steps to sell your home. You can get help from an independent adviser to make sure you are following the right steps to sell your home. You'll need to keep your lender up to date on the progress of the sale. If your lender doesn't agree to you selling your home, they should give you their reasons at least five working days before starting any action. Be aware of 'sale and rent' schemes. Companies that buy your home and rent it back to you are offering 'sale and rent back' agreements. Selling your house to this type of scheme may pay off your debts, but you will no longer own your home. - Most of these schemes will offer you less than the actual value of your home. Before considering this type of scheme, get advice from an independent adviser. This article was written by Anita Richardson, HouseWow Director, Home Staging Network founder, CHSSP Course author. The consumer credit counselling service has recently changed it's name (early 2013) to Step Change Debt Charity. The organisations remains the same although the web site looks different. Offers free debt advice and free debt management help.